The CJO welcomes vocalist Manny Houston to celebrate this American icon. 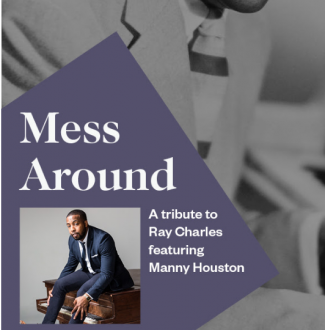 Originally from Greenville, SC, Manny has starred in many stage and show productions, including his own highly acclaimed piano singer tribute at the Charleston Music Hall.“I’m looking forward to working with Manny on this show. He was one of our students in the College of Charleston music department, it’s great to see his professional career blossoming!” said Robert Lewis, Music Director of the Charleston Jazz Orchestra.